Part of the unfinished stairs to Reinebringen. Hiking to the top of the mountain Reinebringen in Lofoten is something many tourists seek to do, and I’ve even read about people whose only reason for visiting Norway is to do the hike. I hiked to the top earlier this months, and I thought I’d share some insight for anyone seeking up to date information. 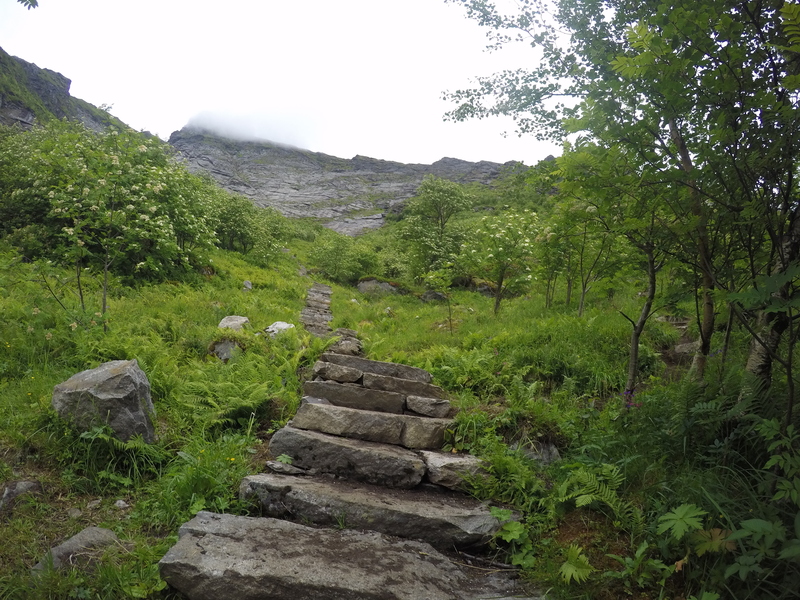 The hike is currently officially discouraged by the municipality due to the conditions of the trail, and tour guides currently do not offer tours. 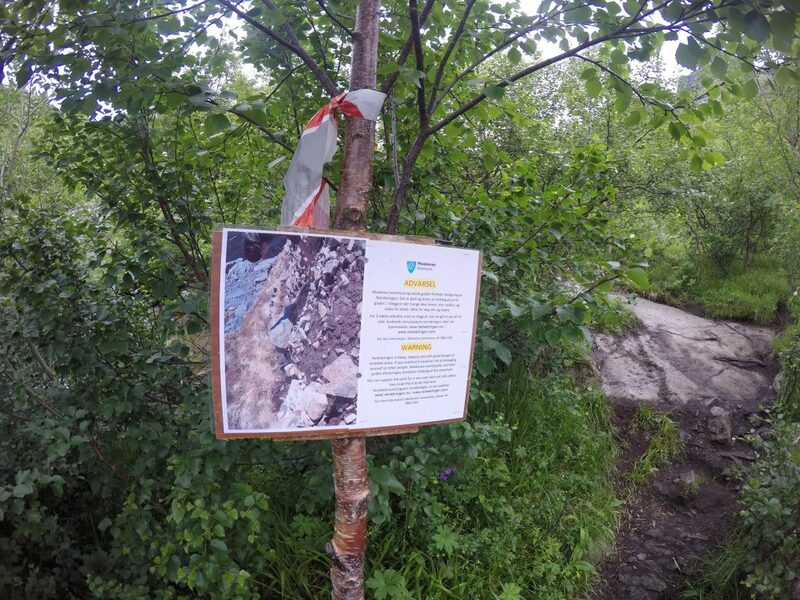 This was obvious by several signs placed by the start of the trail, and by what remained of some plastic cordon between a few trees at the start of the stone stairs. If you Google Reinebringen, you’ll find several warnings and discouragements. My travel companion and I did some searching and reading before going, and because of the warnings, we considered not doing the hike. After some thinking, we decided that we wanted to see for ourselves how bad the trail was, and that we would turn back if we felt unsafe during the ascend. I will neither encourage or discourage people from going there. We did not feel unsafe, but the official discouragements are there for a reason. 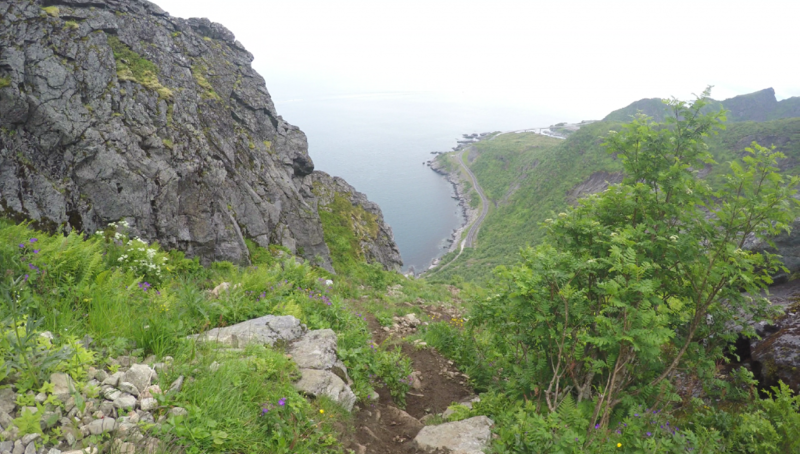 This is not a hike for anyone not used to hiking steep ascends and descends. This is not a hike for anyone in a bad shape. You need good hiking shoes, preferably high ankle boots with good support. The weather on the top of the mountain can be chilly and windy even if it’s fine down at the ground, so bring a windproof jacket and some extra clothes. You should of course bring water, and if carrying a backpack, pack lightly. We met several groups who obviously did not know what the trip entailed, carrying large backpacks and being in a bad shape physically and mentally. This is not a good idea. The dangers about hiking to Reinebringen are primarily two things: Wet, slippery mud and loose, rolling stones. We went after a slight drizzle, and the mud was somewhat slippery. I would not go after heavy rain. 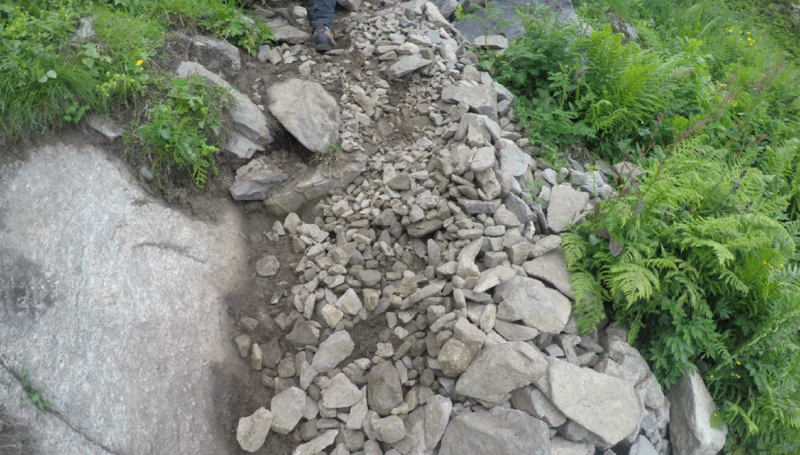 The danger of loose stones are not just about stepping on them and falling, but more dangerously if other people step on them and the stones start rolling. If you’re unlucky, you may get one of those in your face at high speed. 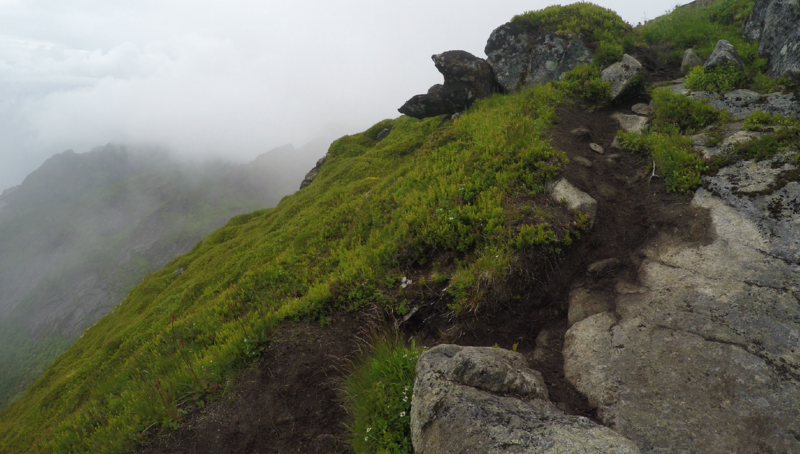 For this reason, I would not do the hike if seeing many people ascending in front of me. If you step on a stone and it starts rolling, yell “ROCK!” so any other people can prepare for what’s coming. Be careful, and turn back if you feel unsafe or unprepared. Loose stones on the trail. The view is nice but the mud might become very slippery after rain. Warning sign discouraging the hike. 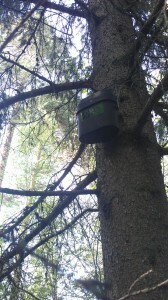 Geocaching is a great sport that consists of locating physical containers (called a cache) by using a GPS device. In short, you find the GPS coordinates for nearby caches on geocaching.com, and enter them to into the GPS device. After locating the cache, you sign its physical logbook and use geocaching.com to log that you’ve found it. Geocaching is a great way of discovering new places, since the caches are usually placed on or near locations with something interesting to see, such as trails, places with great views, historical buildings, etc. There are currently 2,263,860 caches out there!